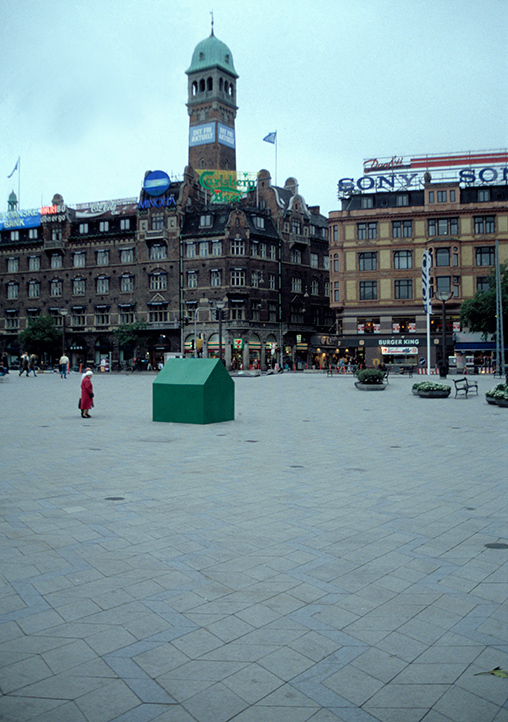 Monopoly House, Rådhuspladsen, Copenhagen, 1996. Wood and housepaint. An enlarged house from the game Monopoly was moved into the mainsquare of Copenhagen called Radhuspladsen. 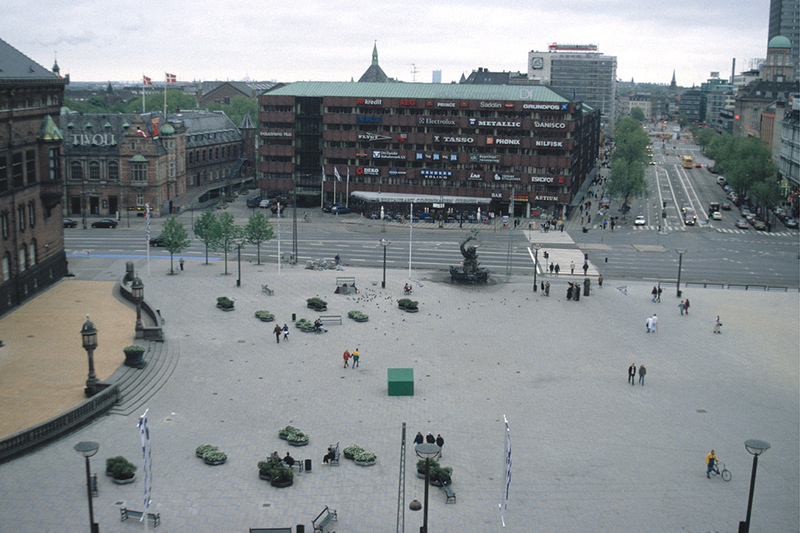 An anarchistic entry to Copenhagen Culture Town of 1996.